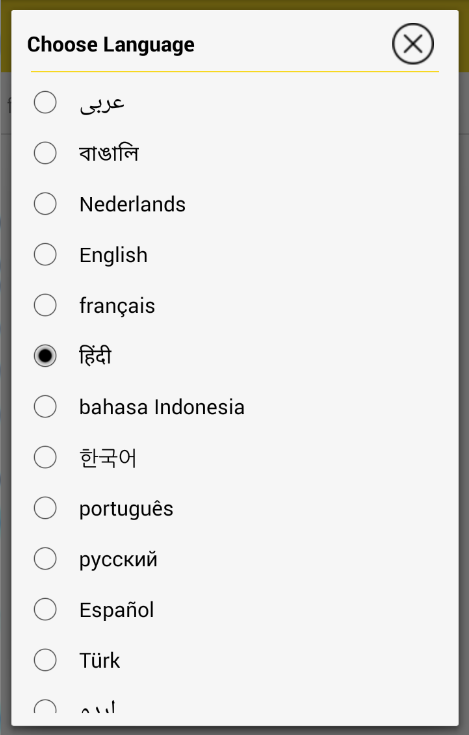 – Multi language configuration is helpful for people, who are facing language problem. 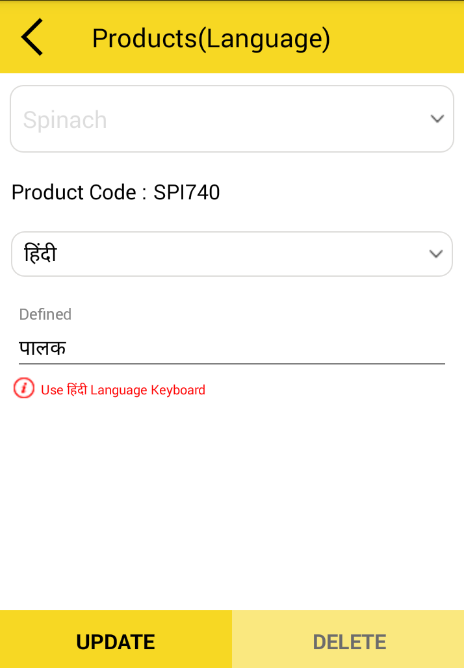 – By clicking on language, it will open the list of products with column name “defined” where you can see your product name in other language(user defined language). 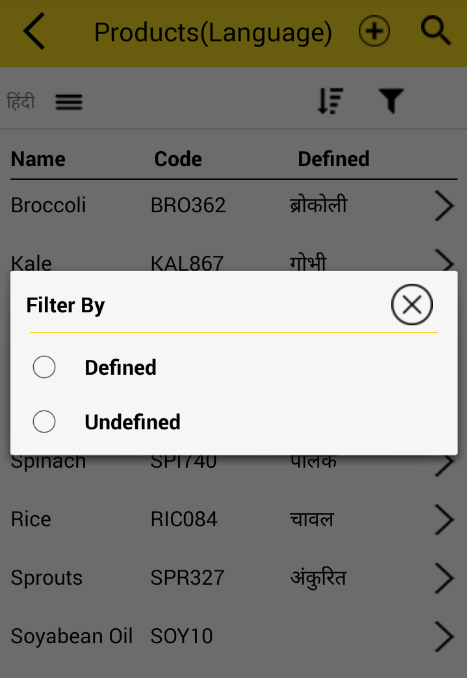 -By clicking on product name arrow, select language in which you have to define the word. 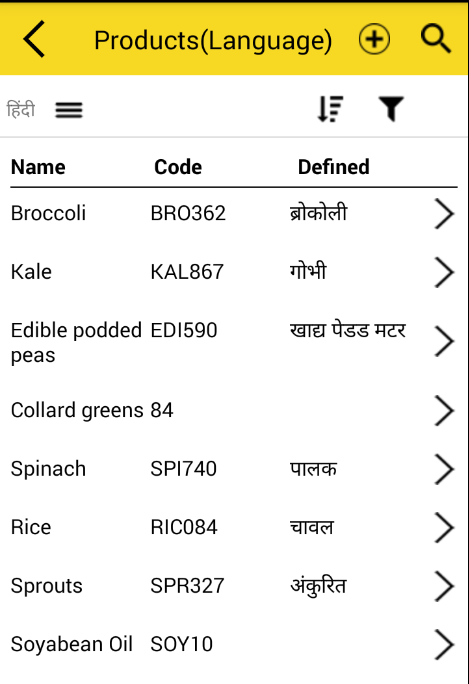 – Then define the word in that language using required lanaguage keyboard and add it. 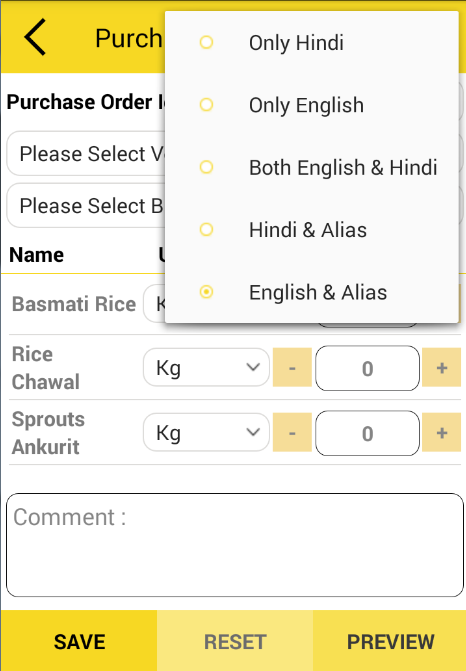 – Now coming back on products(language) page, From upper left side(Drawer icon) user can choose required language in which product is defined. – In product list, user can search and add product from toolbar. – On right side below toolbar, there are two icon using 1st icon user can sort list and using 2nd icon user can filter, as per requirement. This will be helpful in purchase order while placing orders. 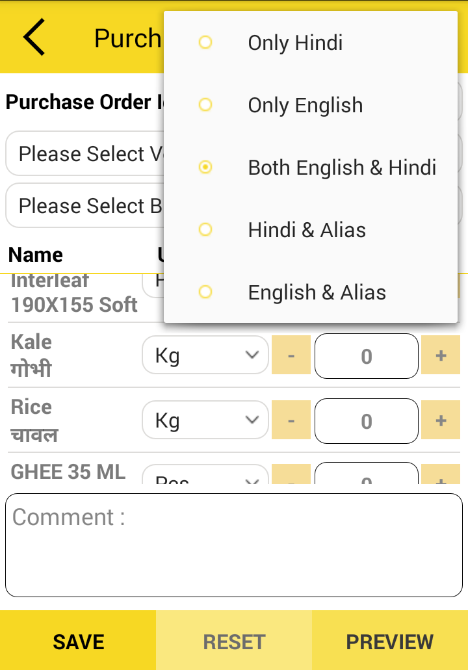 This will helpful in, purchase order page user can choose required language for placing order by selecting menu icon on upper right corner of toolbar.